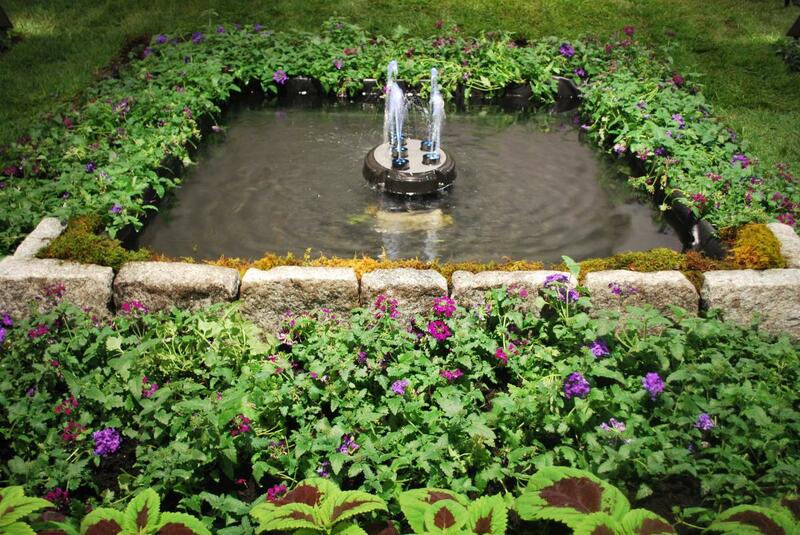 Montgomery County landscapers are blooming with this year&apos;s water theme at the Philadelphia Flower Show, run by the Pennsylvania Horticultural Society. Burke Brothers Landscape Design/Build of Wyndmoor, and Hunter Hayes Landscape Design in Ardmore are just two of several exhibitors with Montco ties that are wowing with their displays. 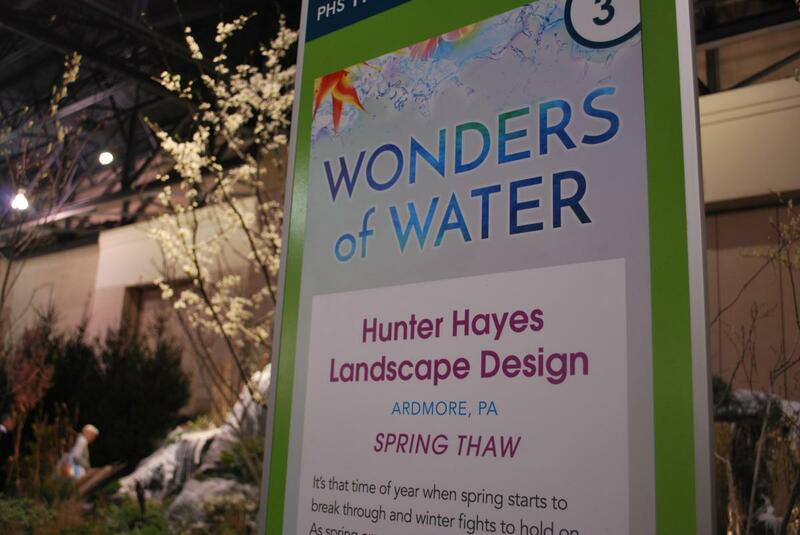 The Wonders of Water explores and celebrates the life-sustaining connection between horticulture and water March 3-11 at the Pennsylvania Convention Center in Philadelphia. The world&apos;s oldest and largest indoor event of its kind, the show draws hundreds of thousands of visitors each year. The Burke Brothers exhibit, "La Fontaine Elegance of Water," features a serene and subtle setting that includes water fountains, benches, and statues. Inspired by the Atlanta Botanical Gardens and local farm gardens, the display looks to capture the elegance, style, and presence that a parterre garden provides on a small yet bold scale. The interpretation uses a simple, sculpted plant palette, and one-of-a-kind features to draw attention to the reimagined 19th century French fountain, and elevated sitting area. 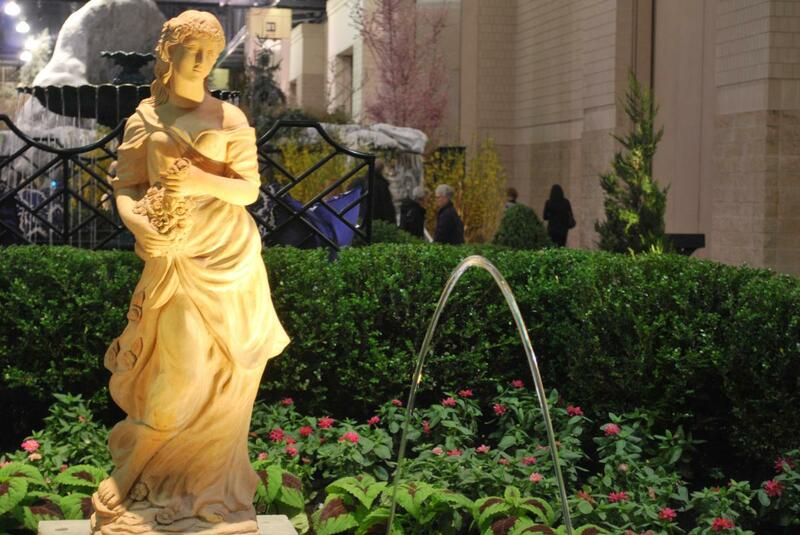 "The statues add a little more detail and expertise," said Lucas Burke of Burke Brothers, who&apos;ve been exhibiting at the Flower Show since 1998. "It&apos;s laid back. We just love the scene. Water is with everything, so every exhibitor has their own interpretation, which is so nice. We hope people come and see something that gives them inspiration for their own garden with beautiful flowers, landscaping, and the hard work we put into it." 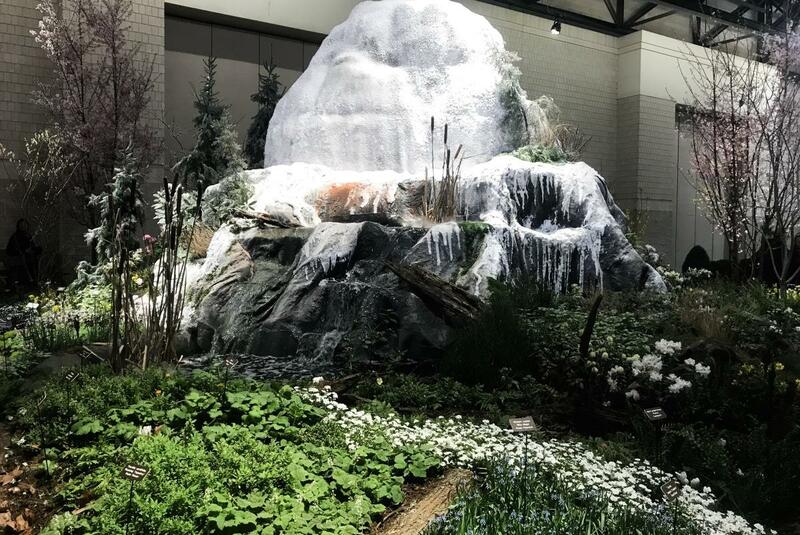 The Hunter Hayes display, "Spring Thaw," focuses on an ice-capped mountain scene with a waterfall, and steam to signify spring flowers breaking through and melting the winter snow in the valley. Visitors will also see displays featuring tropical jungles, forests, and native woodlands that all showcase the beautiful plans living in each environment. 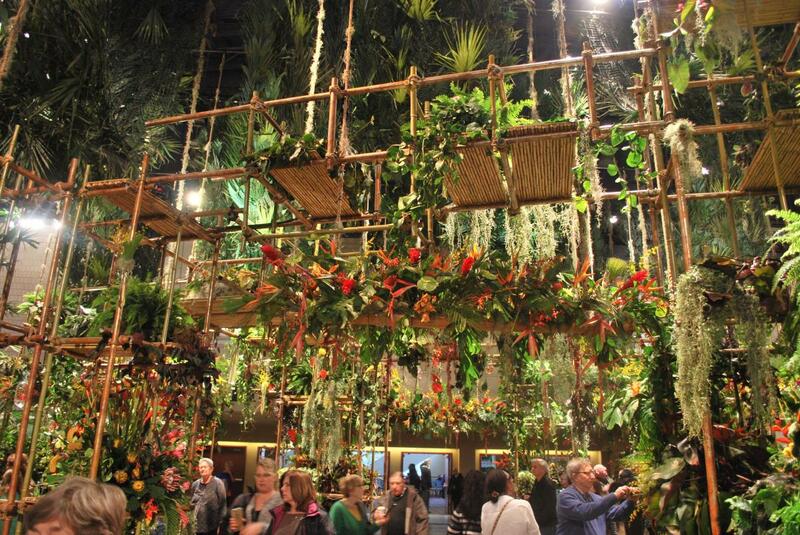 Besides hearing the peaceful and calming sounds of soothing water flowing throughout the show, check out the multi-level bamboo waterfall, and a rain curtain over a suspended rope bridge throughout a rainforest setting. 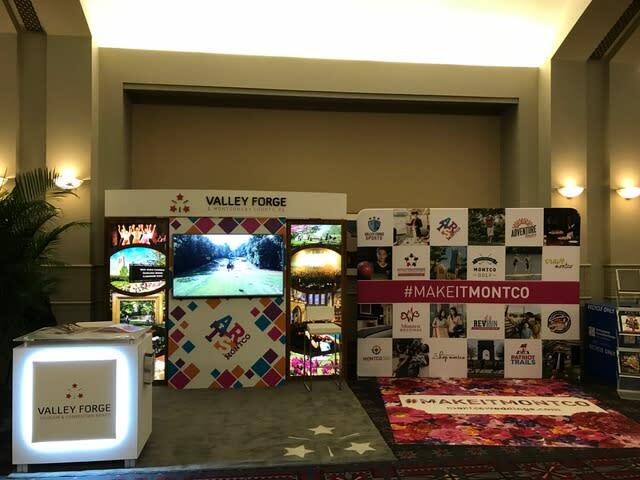 While at the Flower Show, don&apos;t forget to visit the Valley Forge Tourism & Convention Board booth to enter for a chance to win tickets to Keswick Theatre shows, and Cirque du Soleil&apos;s VOLTA show coming next to the Greater Philadelphia Expo Center at Oaks this summer. 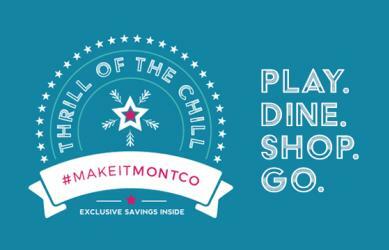 At our booth, you&apos;ll also get our brand-new, first-ever Spring Arts Guide, featuring our Arts Montco brand, which promotes more than 200 arts and culture venues, events centered around entertainment, gardens, and museums. 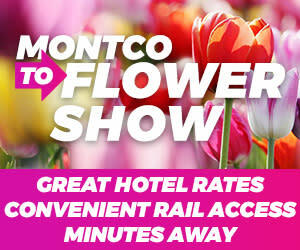 Before you go, book your stay in Montco, then travel down to the city using SEPTA. You might find some decorative surprises along the way, as well as exclusive deals for SEPTA pass carriers.